Started in 2018, our mission is to advance communication and public understanding of current research discoveries about Earth’s natural systems in Florida, and beyond. This mission will support our strategic impact: to better inform Floridians in the 21st century, including the next generation of decision makers. 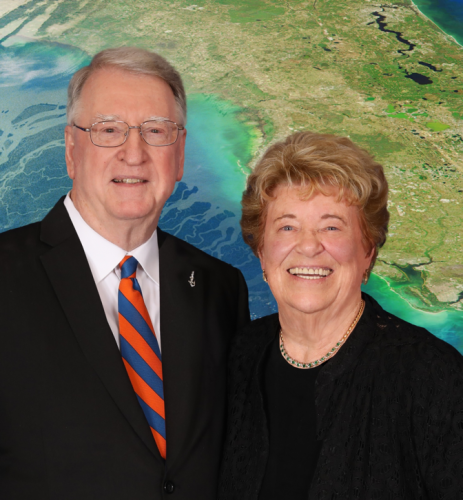 Centered at the Florida Museum of Natural History, the UF Thompson Earth Systems Institute will harness the research discoveries of faculty and students from participating colleges at the University of Florida that will help influence legislation and foster new research with global implications. Using innovative communication and technology, these discoveries will be made available to K-12 educators, community scientists, and various interested public and private stakeholders. Likewise, through general education courses in Florida’s natural systems and related topics, undergraduates will have the opportunity to graduate from UF empowered to make decisions that directly affect the future of Florida’s natural systems, and beyond.